Papua New Guinea Sports Foundation chief executive officer Iamo Launa has come under fire from staffers within her own organisation for what they claim are numerous breaches of mismanagement and misappropriation of funds, The National reports. The log of evidence collected and documented by her subordinates is hefty. Speaking on the condition of anonymity, a well-placed source at the PNGSF head office in Port Moresby claimed the list of questionable practices was sizable and warranted investigation. These are serious allegations and if they were not backed by documented evidence then one would think that the CEO would have taken immediate legal recourse to defend her reputation. Initially when the “file of complaints” was circulated to the PNGSF board chairman Graham Osborne and Sports Minister Philemon Embel, as well as various other institutions, including the media earlier in the month, Launa, was called in by Osborne to explain – which she did. Osborne came out publically this week backing the PNGSF CEO and stating that he still has faith and confidence in her to lead the government body. He is currently reviewing the file and Launa’s acquittals and will decide if further action needs to be taken. Osborne said the allegations originated from within the PNGSF office from individuals who were unhappy with Launa’s leadership. He claimed that these persons had themselves been subject to investigation for various improprieties and, as such, had suspicious motives. Regardless of the issue of motive, the fact remains that Launa must answer for actions pertaining to the use of funds and, in some cases, taking liberties with her position. The instigators have also questioned Osborne’s authority in the matter claiming his stewardship of the board is in effect null in deliberating on the issue. They said because the board’s term expired seven months ago, his acting position did not preclude him to decide Launa’s fate as would be the case if he were the fully fledged chairman. The point though seems moot as Osborne is all but certain to retain the chairmanship once the national executive council meets next month to make a raft of decisions, which have hitherto been delayed. The question now is if Osborne finds no reason to take further action, after reviewing the file and is satisfied with the acquittals, should the matter be pursued? It should not, because Osborne is the chairman whose job it is to handle that area of executive management. Attention should then focus on just how the PNGSF, a lesser known institution than its more popular partner the PNG Sports Federation, is being run by the current executive, namely Iamo Launa. Being liked by your subordinates, however, is not a prerequisite for the top management position. But having a good rapport with those under you and, more importantly, having their respect goes a long way in achieving not only the bigger goals of the institution but indeed the everyday running of the PNGSF office. Several sources within and outside the foundation claim that Launa “is hard to get along with” and portrays a demeanor that is not easily liked. Furthermore, her leadership skills have been criticised by some observers who claim that she simply does not have the acumen to run a national body. However, there could also be a cultural aspect at play here with the unease from certain pockets of the PNGSF workforce emanating from the fact that she is, a woman in charge. When Launa was appointed to the position in 2008 she had beaten out two other male candidates with the backing of the then Sports Minister Dame Carol Kidu. Although her ascension raised a few eyebrows at the time she was more or less given the benefit of the doubt. Will she be given a pass this time or should she earn it? A STAFF member at the Port Moresby General Hospital’s cholera treatment centre (CTC) reportedly became ill after coming into contact with a patient’s faeces and vomit on Wednesday, The National reports. This happened as people with cholera-like symptoms from the city and parts of Central continue to go in numbers to the CTC for treatment since last Friday. The 12-bed centre has been full since the start of the long weekend with patients experiencing severe diarrhoea. Staff had to work around the clock to treat those patients and attend to new admissions. With the New Year tomorrow, health workers expect more patients as cholera was now widespread in the city. The centre said at this time, the main mode of transmission would be through contaminated food as celebrations continued from last week. NCD cholera task force team leader Dr Timothy Pyakalyia said the size of the ward inside CTC allowed for an extra five or six patients but it would be a struggle for staff if there were more than 18. He said they were bracing themselves for the worst as people feast and drink to welcome the New Year. Pyakalyia added that by now people should be aware that cholera was present in the city and all they had to do was practice safe hygiene to prevent contracting it. As of yesterday morning, nine people were admitted, bringing the number of admissions to 273 for this month. He said the problem with cholera was that 80% of people who carried the bacteria did not show symptoms while the other 20% showed all the symptoms requiring treatment. Pyakalyia cautioned people as the 80% group could easily infect them through their ignorance of safe hygiene. TWENTY-eight houses were burnt down at Keng and Mater villages by angry youths, following the death of a village court magistrate on Karkar Island in Madang, The National reports. The villagers blamed the death of the person on sorcery. The youths then went on a rampage and razed houses of those suspected to be involved. Provincial police commander Supt Anthony Wagambie Jr said the incident occurred a day before Christmas and the houses were all semi-permanent and build from bush materials. He said that police on Karkar had attended to the incident. Members of the rapid response unit from Madang were later send to the island to ensure the situation did not get out of hand. Wagambie said the situation was under control as police investigations continued. Leaders from other villages on the island had mediated for peace and more talks would start after the New Year. Wagambie said police had also arrested two youths for break and enter and stealing. A home-made gun and a substantial amount of marijuana were also found in their possession. On the Christmas operations, the Madang police commander said roadblocks along the north and south coast roads had netted a large amount of smuggled alcohol. Many unregistered and non-road worthy vehicles were also impounded. Police also arrested and charged many drunkards and homebrew consumers along the North Coast Road. SELF-proclaimed “Australian citizen” Jonathan Baure, whose followers managed to sneak past Australian security in the Torres Strait to reach the Cape of York last week, is still in police custody in Port Moresby with no hope of bail – at least for the remainder of this year, The National reports. Yesterday was his fifth day in the lockup at the Boroko police station after he was arrested on Daru Island last Saturday, flown to Port Moresby and charged with breaches of immigration and customs laws in organising a flotilla of boats, with 122 Papua New Guineans, to travel to Australia to protest that they should be recognised as Australians. Baure’s lawyer Robbie Kanison Kone, of Poro Lawyers, failed yesterday to find a magistrate to grant him bail. But Kone said later he was hopeful that his client would get a fair hearing in court. Police had refused bail since Baure appeared in court. Yesterday, at an impromptu hearing at the residence of magistrate Lawrence Kangwia, police rejected Kone’s application for bail. However, the magistrate ruled that the matter should be heard at a Waigani Committal Court this morning. Baure told The National at Boroko that he did not understand why he had not been released on bail on his own recognisance. He had been charged with false assumption of authority and impersonating a public officer. Police prosecutor Aibare Bosing said Baure had been charged with false pretense under section 97(1) (b) of the Criminal Code. Baure’s “victory”, though, was being able to organise at least 10 people from his original group of 122 to reach Cape York Peninsula and raise a Papuan “flag” on Australian mainland soil. The stunt was part of the group’s ongoing struggle for recognition that Papuans were not given a choice to remain as Australians when PNG gained independence in 1975. Papua covers the southern half of the PNG mainland and the group claimed its members were still Australian citizens because there was no referendum to legally sever ties with Australia. Other members of the group were rounded up in Australian waters around the Torres Strait islands and airlifted back to Daru last weekend. A COALITION partner of the National Alliance party-led government came under attack from a key figure of the ruling party yesterday, underlining the tension and distrust that exist within the different factions in government, The National reports. NA stalwart and Minister for Labour and Industrial Relations Sani Rambi yesterday attacked Enga Governor and People’s Party leader Peter Ipatas in a media statement, describing him as someone who cannot be trusted. Rambi fired the broadside after Ipatas reportedly took offence at not being credited with the rise of Wabag MP Sam Abal to deputy prime minister, and then acting prime minister, at the expense of Kandep MP Don Polye. It was suggested the move to demote Polye and promote Abal was cleverly done to destabilise and destroy NA in the highlands. Ipatas later denied this, saying he did not set out to destabilise or destroy NA. But, Rambi said Ipatas’ denial of having any part in the recent reshuffle “only reveals the cynical and sinister person that he (Ipatas) is”. He said Ipatas was out to cause instability and destabilise the government. “Everyone who follows politics in PNG knows Ipatas is the one who sponsored the opposition’s drive to overthrow the government when he led members of the current opposition to nail their shoes to a post at his Bluff Inn Motel last year. Rambi said: “For him to now say that he is a ‘friend’ of NA, and will continue to support the government, is quite difficult to believe. His kind of friendship is one that NA, as an institution, cannot afford to trust. “I urge Ipatas not to meddle into the NA party affairs because NA is simply too big an institution for him to play his self-centred politics with. Rambi said NA was intact under the leadership of deputy leaders Polye (highlands), Patrick Pruaitch (Momase), Ano Pala (Papua) and Fidelis Semoso (New Guinea Islands) and would return to form the government after the elections in 2012. Ipatas could not be reached for comments last night. There were speculations that Ipatas and others outside NA were involved in convincing Prime Minister Sir Michael Somare to remove Polye as deputy prime minister. Polye’s removal and the promotion of Abal created tension within NA, and a distrust for members of the coalition, and this had fuelled speculation the opposition would capitalise on this to remove the prime minister through a vote of no-confidence when parliament sits on Jan 11 to elect a new governor-general. It is a health service only to be dreamed of by most rural communities in Papua New Guinea, where typically one busy aid post orderly struggles to meet the needs of a long line of patients, with a short supply of medicines. The new model is a community health post (CHP) manned by three health professionals, one specialising in the health needs of mothers and children, another in public health and one focused on healthy living programmes. Morobe Mining Joint Ventures (MMJV) under its health infrastructure programme is on the way to achieving this ideal arrangement, meeting targets announced recently by the National Department of Health. The department said in a public announcement last month that rural health system strengthening would occur through the rollout of the CHP concept. The NDoH said the CHP was not all about building new infrastructure, but refurbishing and maintaining existing aid-posts and meeting standards and status set for a community health post. Each CHP will ideally be manned by three health workers. The department said the CHP was not a new concept as some provinces already had similar arrangements under different names. It is about strengthening what is there already. MMJV, the operator of the Hidden Valley mine and the developer of the Wafi project, is already working towards achieving the CHP concept through the construction and maintenance of a number of aid posts in the area of its operations in the Bulolo and Huon Gulf districts of Morobe province. The company is constructing four new aid posts for its landowner villages near the Hidden Valley mine, at Nauti, Kwembu and Winima and the Wafi-Golpu project at Babuaf. There are also plans to maintain existing aid-posts. The national government’s plan is to strengthen rural health services in all 89 districts by 2020. MMJV’s health infrastructure programme is aligned to support the plan within its area of operations. MMJV is committed to providing improved medical services to the many thousands of people living not only in the communities located in its footprint of operations but throughout the district. The company is working closely with the provincial health division to achieve this outcome. Leader of PNG Party Belden Namah has called on acting Prime Minister Sam Abal to sack incompetent Government lawyers to prevent further embarrassment as Parliament scrambles to convene next month to elect a new Governor General. Namah blamed the Government’s legal experts for the current constitutional crisis, which he said would not have come about if they did their jobs well to advise the Government properly. As well, he urged state law-enforcing agencies to investigate and refer all involved: politicians, bureaucrats and political cronies who were responsible for the blunders. He said the blunders included Parliament not sitting to meet the required 63 days in a year, illegal re-appointment of Sir Paulias Matane as Governor General last June, attempts by sidelined Prime Minister Sir Michael to stop the Ombudsman Commission from investigating him and Sir Michael stepping aside from duties before a Leadership Tribunal was set up to hear his alleged misconduct charges. Namah said in all these instances, Government legal experts failed miserably, causing constitutional blunders, much to the embarrassment of the over six million Papua New Guinean citizens. “What advice did our legal experts and new Attorney General Sir Arnold Amet provide? He said. Namah said as a direct result of bad advice, taxpayers would meet the legal costs and recalling of Parliament. He urged law-enforcing agencies to take immediate remedial action, including prosecution and referral of individuals to relevant authorities to be dealt appropriately. “Politicians, bureaucrats and private advisor responsible must face the consequences,” Namah said. “They must account for their action and inaction. “Those in trusted and responsible positions must not be allowed to continue abusing processes and breaking laws. “Bad decision based on stupid advice is costing PNG millions. 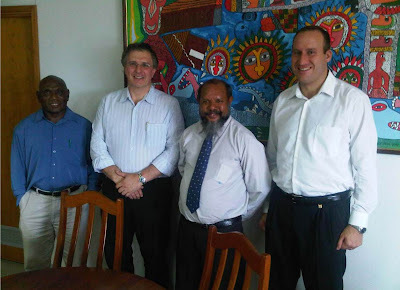 “This money should be used to improve much-needed health, education and other basic services PNG-wide. CYCLONE Tasha, which hit Queensland last Saturday bringing its worst flooding in decades, has also caused chaos in coastal areas of Central and the National Capital District in the past two days, The National reports. Torrential rain and strong winds, since the weekend, caused power blackouts in the city and surrounding areas as PNG Power announced that its four power stations at Rouna were affected by excess water and debris blockages. It also announced emergency load shedding of three-hour duration as its technicians work to get the hydro stations operational again. 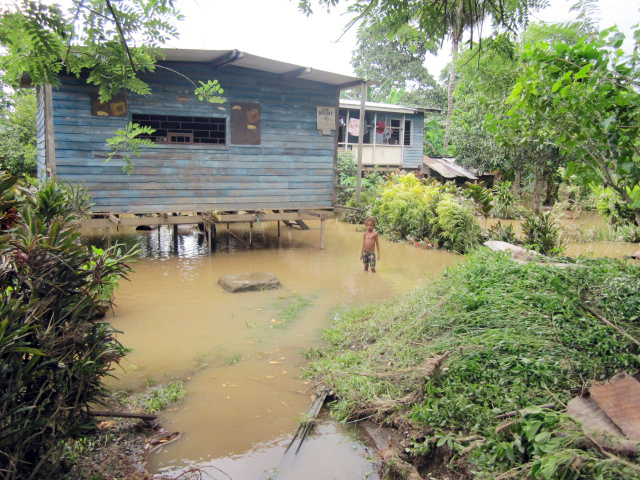 At Laloki settlements outside Port Moresby, more than 500 people were forced to evacuate as their food gardens were destroyed when the Laloki River burst its banks. Flood waters also cut off the Hiritano Highway, stopping traffic until yesterday morning. Police were also keeping a close watch on the Bomana jail, which sits on the south bank of Laloki, in case they needed to evacuate the 600-odd prisoners. The jail had been flooded in the past but not serious enough to force mass evacuation. Several coastal Motuan villages reported that roofs were blown off their homes by strong winds but no structural damages were reported. EAST Sepik Regional MP Sir Michael Somare and acting Prime Minister Sam Abal are backing Rai Coast MP James Gau for the position of Madang governor, The National reports. Abal travelled to Madang on the government’s Falcon jet from Wabag on Tuesday where he was met at the Madang Resort hotel by local businessman and former politician Sir Peter Barter, Attorney-General Sir Arnold Amet and Sir Michael. After making their intentions known, Sir Michael and his wife, Lady Veronica, left for Wewak later that day. Another likely candidate for the governorship is Sumkar MP Ken Fairweather. Observers said local level government presidents from Sumkar, Rai Coast, Usino-Bundi, Madang and upper and lower Ramu were with Gau, a Madang local. had the support of 16 LLG presidents. “I am the best man to do the job. “I have the support of these presidents and even open members. “I will fix the law and order and money problem in the province. “I am the best and the tough one to do the job. “If they do not think so, then, I will be happy to go back to Sumkar where I love it. But, if any presidents think they will get any money from me for their support, they can forget me. I am not paying anyone,” Fairweather said. High on the LLG presidents’ list is the provinces K97m budget breakup and the disbursements of its funding portions to high priority programmes in the district’s medium-term development plan (MDTP) areas. The provincial assembly was likely to meet sometime next week to vote in a new governor and deliberate on Madang’s 2011 budget. More than 500 people have been displaced and food gardens destroyed at Laloki, outside Port Moresby, due to heavy rains experienced recently in the nation’s capital city, The National reports. According to locals in the area, heavy downpour in the late hours of Tuesday continued until early Wednesday morning. Women and children have been reportedly taken at first light immediately into the city by relatives. A mother from the area said around midnight, water began seeping into their homes. She said everyone evacuated to higher ground with their children in tow. “We were scared for our lives. “All our food gardens have been destroyed in the flood,” she said. She added that the entire highway was flooded that vehicles could not even pass until 10am yesterday. “Only our immediate families have come to assist us to evacuate to safer grounds,” she added. NCD metropolitan commander Supt Joseph Tondop advised the families to immediately evacuate the area. He said with the weather pattern experienced recently, it might cause other problems if they remained. Leader of PNG Party Belden Namah has expressed grave concern over a directive from acting Prime Minister Sam Abal for his arrest and detention before next month’s Supreme Court-directed session of Parliament. Namah said he was reliably informed during the long Christmas weekend of the confidential executive directive for his arrest over the Border Rangers issue. “The Border Rangers in Vanimo was merely set up to carry out similar functions of the City Rangers in Port Moresby - to keep the Vanimo town clean and prevent people from selling cheap smuggled goods form Papua province of Indonesia,” he said. Namah said he was reliably informed by government insiders that Abal was pressured by powerful political forces from with the government for his arrest. “I’m told that Mr Abal has directed acting police commissioner Tony Wagambie and acting deputy commissioner operations, Fred Yakasa to arrest and detain me before the 11th January 2011 session of Parliament,” he said. “I urge the Mr Abal to let common sense to prevail and not to compromise his position to be used by those who have vested interests, including heavily-implicated politicians and their cronies to do their dirty work. “The perpetrators are merely using the Border Rangers issues to silence me because I know too much about the rotten and corrupt deals that they are involved in. “Mr Abal should not listen to such people because now that I’m in the Opposition. Namah also said that the plot was aimed at silencing leaders and citizens who were critical of the current government’s dismal failure to address head-on the issue of corruption. “It is a dangerous and very frightening plot devised by desperate politicians to cling onto power because they know that if the current government is ousted, they will be in serious trouble, including prosecution and imprisonment,” he said. “I’m fully aware of this sinister plot to have me arrested, not because I’ve broken any law, breached the Leadership Code or the Constitution. “It is not because I’m indifferent with the law. “It is merely because I’ve been most vocal and critical on corruption that is evidently rampant in the current government. “It is common knowledge that corruption in PNG has reached unprecedented levels, yet this government has miserably failed to address it head on, starting from its very own backyard. “I’ve never tried to seek relief from the courts to prevent the Ombudsman Commission and the Public Prosecutor from performing their constitutional mandated duties. “I do not go around ordering citizens to be kidnapped or assaulted. I don’t steal or use public funds to build expensive properties in PNG and abroad or acquire wealth. “During my working life, I have fought to save thousands of Papua New Guinean lives as well as fought hard to ensure that forestry resource owners gained maximum benefit for their forest resources. I will continue to fight for the rights of the over six million PNG citizens. Cocoa is a major revenue-earner in Papua New Guinea and with the arrival of the cocoa pod borer (CPB) in 2006, efforts have been stepped up to save this very-lucrative commodity in the nation’s agricultural industry. Fearing the potential negative impact of CPB on the industry if nothing was done, a national cocoa workshop on preparation of a strategic plan for the cocoa sector in PNG was held in April 2009, to discuss the findings and suggestions by a consultant headed by Agrifood Consulting International and to plan a way forward to save the industry. A strategic plan was developed which contained five major goals including productivity – to increase average yields to 0.8 tonnes per hectare by 2015; production – to increase exports to 100, 000 tonnes by 2015,; profitability – to increase cocoa income to growers by at least 80% by 2015; CPB –losses due to CPB infestations contained at less than 10% of production and quality to enhance PNG’s market position as a supplier of high quality cocoa by 2015. This is the plan on the national scale and Morobe Mining Joint Ventures (MMJV) is helping to ensure that this plan is implemented through the establishment of a cocoa programme for the villages and communities located in the footprint of its operations in Bulolo, Morobe province. MMJV has commenced a cocoa programme especially for the Lower Watut people in partnership with all stakeholders including, the three levels of government, non-government organisations (NGOs) and the local people. MMJV ensures that the local people fully participate in the project to build a sense of ownership for the sustainability of project for future generations. The cocoa programme is being implemented in partnership with Bris Kanda, a non-government organisation (NGO) group working in the Huon Gulf district of Morobe province. The activities involved in this programme are establishment of cocoa nurseries to increase the number of household involved in planting improved cocoa varieties by 10% by mid 2011; establishment of budwood gardens in strategic locations so hybrid cocoa gardens can be expanded in the future,; extension services – to ensure that skills training and good block management practices are regularly carried out in the communities and cocoa fermentery funding assistance to provide seed funding (to those eligible to process cocoa) which will be repaid under a current revolving scheme. The communities’ contribution to this project is through sweat equity, while MMJV is providing substantial funding, with Bris Kanda providing extension and other support services. Most of these communities and cocoa groups have been working with Bris Kanda for a number of years and MMJV’s assistance is a big boost to their efforts to produce and sell quality cocoa beans as cocoa is their main cash crop. The villagers thanked MMJV for initiating the program and Bris Kanda for providing the expertise and are committed to working together in improving cocoa production in the area. According to a four year and five months study conducted by the University of Sydney, Faculty of Agriculture, Food and Natural Resources in Australia and commissioned by Australian Centre for International Agricultural Research (ACIR) which ended on May 31, 2009, the PNG cocoa industry earned an estimated K168 million annually on production of 42 000 tons which makes up 2% of the world market. A large part of this comes from nearly 70, 000 smallholders in 14 of the 20 provinces. The three major producing provinces are East New Britain, Madang and East Sepik. THE election of the governor-general takes precedence over all parliament business when the acting speaker, Francis Marus, recalls parliament on Jan 11 as directed by the Supreme Court, The National reports. Marus, who is Talasea MP, told The National yesterday that any other government and opposition business, such as the proposed vote of no-confidence motion, would not be entertained. He said parliament had been recalled to elect a vice-regal. The Supreme Court had, on Dec 10, ruled that the July reappointment of Sir Paulias Matane as governor-general for a second term was unconstitutional. Marus said parliament would sit for a few weeks until the appointment was formalised and the new governor-general sworn in by the chief justice. In their ruling early this month, a five-judge Supreme Court bench ruled that Speaker Jeffrey Nape had presided over the nomination and election processes of the vice-regal in parliament when he was, in fact, the acting governor-general. Marus said he would adjourn the house for recess after the formalities of a new vice-regal were completed. Parliament was due to meet for its first session next May. However, opposition sources told The National that they would make a final attempt to submit a notice for a vote of no-confidence motion against Prime Minister Sir Michael Somare. They said the two previous motions were not entertained by Nape, and they would make another attempt on Jan 11. They appealed to the acting speaker to consider the motion as a matter of national interest and allow it to go through. National parliament workers said public notices would be sent out today notifying MPs of the Jan 11 sitting. Meanwhile, Attorney-General Sir Arnold Amet also brushed aside claims of a vacancy in the prime minister’s post following Sir Michael’s decision to step aside. Sir Arnold said Sir Michael was still the prime minister as he was on voluntarily leave awaiting the tribunal. FIJI National Provident Fund’s wholly-owned subsidiary FNPF Investments Ltd has entered into a joint venture with consortium partners from Papua New Guinea for the redevelopment of the Grand Pacific Hotel dubbed Fiji’s “Grand Old Lady”, The National reports. The joint venture with the National Superannuation Fund Ltd (Nasfund) and Lamana Group of Co is expected to enhance Suva’s destination presence as a provider of a leading luxury hotel for today’s modern business traveller. It had been confirmed that design work was being finalised by Lamana Group in conjunction with several consultants, with construction targeted to begin in the third quarter of next year. FNPF chief executive officer Aisake Taito said the investment was a major step in ensuring good returns for the 280,000 plus members. “The fund is committed to the redevelopment of the GPH as this is in line with the FNPF’s reform objectives, specifically, the rehabilitation of non-performing investments,” Taito said. He said the project was expected to add slightly over 1% to the country’s gross domestic product (GDP), “which is good for the economy and country”. Taito said the fund was confident that with the PNG consortium, it “found the right partners with the right capacity and extensive expertise in hotel development and management”. “With a presence in Port Moresby, Honiara and now Suva, the expansion of Nasfund investments with Kostas Constantinou, OBE of Lamana Group, represented a significant cross-border investment that would result in a real tangible asset and reflects a growing confidence in Fiji by their fellow Melanesians,” he said. Nasfund co-chief executive Rod Mitchell said: “The expansion of Papua New Guinean investment further into the Pacific market as well is a strategic milestone for us. The fund said the hotel would be developed as a high-end Pacific business traveller hotel with restaurant, lobby lounge, specialty bar, convention facilities, multiple meeting rooms and health club. AN investigation into allegations against suspended Police Commissioner Gari Baki has been completed, with the final report expected to go before cabinet this week, The National reports. Chief secretary Manasupe Zurenuoc said the final report, including specific recommendations, would be presented to the National Executive Council for its consideration. The investigation team comprised former judge Nemo Yalo, PNG Trade Union Congress and Public Employees Association president Michael Malabag and businessman Allan Bird. They were given two weeks by the NEC to submit their findings to Zurenuoc, which they did last Wednesday. The allegations against Baki were raised in a letter, dated Nov 4, 2010, by the prime minister. Baki was alleged to have misled government and senior government officers into allocating K10 million for police operations at the liquefied natural gas (LNG) project sites. Prime Minister Sir Michael Somare, in another letter to then Public Service Minister Peter O’Neill on Nov 4, instructed for the Department of Personnel Management to facilitate the suspension of Baki. The allegations were that the police commissioner had allowed the police force to run down and there was a general break-down in law and order. The same letter also gave instructions for DPM to prepare instruments to appoint Tony Wagambie and Fred Yakasa as acting commissioner and deputy commissioner respectively, which were effected on Nov 8. In a statement yesterday, Zurenuoc also highlighted the need to follow established procedures and processes of governance. Zurenuoc also made specific reference to the need to promote the ideals of good governance and, particularly, the elements of integrity, independence and the greater charter in being accountable to the people of Papua New Guinea. He also thanked the investigators for completing their assigned tasks within the specified period. GOVERNMENT workers should not be politicking but concentrate on serving the government of the day, Margaret Elias, acting secretary of the Prime Minister’s Department, said, The National reports. She also said that public service must be based on trust and honesty and that all public servants needed to work together to serve the nation. “True public servants must care,” Elias said yesterday when responding to queries last week on her department’s focus for next year which she described as another challenging and hectic year. “So much money has been given, for the first time we have more than K9 billion budgeted for the country. “Among other tasks, we need to connect the roads, improve our health, education and infrastructure and uplift our performances and implement our plans,” she said. Elias added that acting Prime Minister Sam Abal had recently given directive that by Jan 7, the public service must organise itself, plan its resources well and implement its departmental operational budgets. “What this tells us is that this time around, the central agencies coordination committee (CACC), through the chief secretary, will be closely monitoring the performance of government agencies,” she said. Elias said that strategically, the Department of Prime Minister and NEC would continue in the new year to effectively lead in policy administration, reforming the public service and coordinating and implementing NEC decisions and monitoring performance of departmental heads. “This is a real test; we need to rise to the occasion and do what we are supposed to do,” Elias said. MURRAY Barracks army headquarters yesterday forked out K2.5 million to caterer NCS to continue their services to the PNG Defence Force, The National reports. The NCS had announced on Dec 27 that it had withdrawn its services to all PNGDF messing facilities because of non-payment of accounts, dating back to April, totalling more than K7 million. However, it would resume its normal services today after the K2.5 million payment was made. Acting PNGDF commander Capt Alois Ur Tom confirmed yesterday that the money had been paid to NCS which had agreed to continue with its services. He added that there was an outstanding of K4.5 million which would be paid by February. He revealed NCS had agreed to continue with its services in the northern units which comprised the Lombrum naval base in Manus, Igam in Lae and Moem barracks in Wewak. Ur Tom said for the southern unit, PNGDF’s contingency cooks had been put in place until NCS did its entire stock-take for the New Year before resuming normal services. All services were expected to be back to normal by Jan 1, he added. Ur Tom said at the moment, they could not do much to settle the debts because the finance office had closed for the festive season but, he believed, the outstanding bills would be paid within the next two months. He assured all PNGDF soldiers that all NCS services were back to normal due to a quick response by the management. Morobe Mining Joint Venture’s (MMJV) Hidden Valley mine has this year spent more than K6 million on sustainable projects aimed at improving the lives of its host communities. Health, education, agriculture and infrastructure development projects are the four major programmes currently being implemented through MMJV’s community sustainable development plans for the people of Wau / Bulolo district and Morobe province. The projects include construction of water supply systems, roads and bridges including emergency repairs and ongoing maintenance and upgrade of the Lae – Bulolo highway, health and sanitation awareness, training in fish farming, cocoa and coffee growing, and other extension services and school fee assistance and construction of classrooms. Community water supply projects are well underway and will cater for up to about 40 villages including landowner villages right through the Watut River communities. To date the people of Golden Pine, Manki 1, Tsili Tsili, Mafranazo and Uruf are now enjoying the benefits of clean fresh water brought right to their doorsteps while progress on awareness, feasibility, soliciting village commitment to ensure ownership, ordering and delivery of materials are being progressed. This covers Kwembu 1, 2 and 3, Nauti, Winima, Manki 2, Latep and Leklu for the upper regions, Biamena, Gawapu, Dambi, Kapin Nayakes, Piu, Babuaf Madzim, Pekumbe, Wawas in the middle Watut areas; and Maralina, Wongkins, Kapungung, Chiatz, Goraris, Wampan, Bavaga, Kasek and Magaring. Also on water supply programmess, MMJV recently came to an agreement with the Minister for Health (also the Member for Huon Gulf), Sasa Zibe, to match the district on a kina-for-kina basis up to K1 million for water supply projects as nominated by the Huon Gulf joint district planning and budget priorities committee (JDP and BPC). MMJV is sponsoring training for small-scale alluvial miners from the landowner and Watut villages at the Wau Small Scale Mining Centre (WSSMC) school of alluvial mining to help them improve their mining yields. This year the company also paid education subsidies for the children of the Hidden Valley mine landowner villages of Nauti, Kwembu and Winima, affected Watut villages and Wafi-Golpu project area. Infrastructure development in the three landowner villages of Nauti, Winima and Kwembu, including aid posts, school classrooms and community halls and construction of the Babuaf clinic in the Lower Watut area at Wongkins is also nearing completion. Plans are also in place to construct six double-storey classrooms and three teacher’s houses in Wau, Baiyune, Bulolo and other selected schools down the Watut River and along the Lae-Bulolo highway in partnership with the provincial division of education. These programmes were developed following extensive community consultation with all stakeholders, including the different levels of government taking into account the five-year development plans of Morobe provincial government, local level government (LLG) and district wards. Following these meetings a number of private public partnership (PPP) agreements involving MMJV, the different levels of government, business houses and NGO groups such as Lutheran Development Services, Adventist Development and Relief Agency, Bris Kanda, Morobe Fisheries Management Authority, NARI, dational and provincial departments of Works, health and education and Mainland Holdings Ltd, were developed to help facilitate the delivery of the programmes and projects. General manager - sustainability and external relations, David Wissink, said that the focus of a number of the projects, such as aquaculture and agricultural training and extension services, was to help affected communities create non-mine related revenue generating activities, and to be self-sustaining. “We cannot and will never take over the role of government but as a responsible development partner concerned for the livelihood of the people of Wau/ Bulolo, Morobe and Papua New Guinea, we will always proactively seek to engage, support and assist all stakeholders through working partnerships that will deliver benefits for everyone involved in this project,” he said. A partnership funding agreement for rural water supply projects has been reached by the Huon Gulf district in Morobe province and Morobe Mining Joint Ventures (MMJV). The agreement will see both partners (MMJV and Huon Gulf district) fund the establishment of water supplies on a kina-for-kina basis up to a total of K1million each. The programme will target communities residing within the Huon Gulf district which are in the vicinity of MMJV’s mining and exploration activities near the Wafi-Golpu project and Morobe exploration sites in other areas of the district. 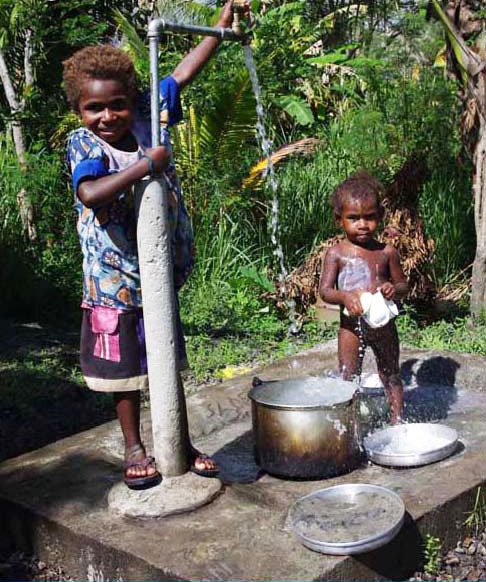 Access to clean safe and reliable water supplies has been identified as a priority for the people of the Huon Gulf district in Morobe Province. Recently the Huon Gulf joint district planning and budget priorities committee (JDPand BPC) headed by Huon Gulf MP and Minister for Health and HIV and AIDS,Sasa Zibe, identified this as a key objective for all communities in his district. MMJV considers the provision of clean, reliable water supplies as a key component of its community development support programme for areas that fall within the footprint of its mining and exploration activities in the Morobe province. The agreement complements MMJV’s existing water supply programme currently being implemented in the Bulolo district throughout Hidden Valley landowner and Watut River communities in partnership with Adventist Development Relief Agency (ADRA) and Lutheran Development Service (LDS). The programme funding will be administered by a project management committee with district and MMJV representation. Mr Zibe and MMJV general manager - sustainability and external relations, David Wissink both agreed on the importance of forging close working partnerships to help provide an important benefit to the communities where it was needed most. Feeding the growing population is a major challenge facing the world today. This poses a huge demand on agriculture which is unrelenting. It was until the 20th century that much of the changes in human population happened in billions within a shorter period of time. Human population left the 20th century with 6.1 billion when in the beginning of the century, there were only about 1.6 billion people. Today’s net increase of world population stands at 2.5 people every second. That means 9, 000 more people are born every hour and 216, 000 every day. Global forecasts are that the planet will experience massive population increase in the coming decades, which mean the current figure of 6.8 billion would reach 9 billion by 2050. The rising population brings with it the effects of migration and urban drift. Worldwide figures show that the number of international migrants was 191 million in 2005, up from 155 million in 1990, constituting 3% of the world population. The major flow of international migrants is from developing to developed countries, with about 62 million migrants making the move in 2005, mainly to find work and send money home to their families. Migration is common in Papua New Guinea. While many people leave homes in search for employment, others migrate in search of better services and opportunities. Urban drift has implications in overcrowding, and depleting of food and household resources. Urban drifts by youths contribute to law and order and other social issues in major centres. The 2008 global food crisis was a manifestation of the relationship between population and food production. One of the reasons of this crisis was that the ‘world has been consuming more food than it has been producing’. Simply the world was not efficient enough in producing agricultural outputs, especially food commodities. Further to this, the world was not investing enough in agriculture. The sector is grossly underinvested and underused. It is often misplaced in policy decision making and development investments. And PNG is very much in this category. The need to accommodate the rapid rise in human population is eminent. It poses a major challenge to food producers and processers. The world will not only need to find ways to improve food production and access to food to meet the needs of this growing population, but to also satisfy their changing dietary preferences for meat and diary products. The challenge is also to halt the drift of young people from rural to urban areas and meet the growing demands for bioenergy sources. Tackling the growing demand for agriculture requires a multi-pronged approach involving all stakeholders. Increasing agricultural productivity and food production can become the optimal strategy to accommodate population pressure. This can be supported with innovative agronomic practices, new crop varieties, conservation agriculture, and the use of water- and resource-sufficient techniques through systematic approaches on a sustainable basis. This is true for PNG. Therefore, the country should improve on agricultural productivity and production, especially in the food and livestock sector to feed its own population. Our current population is estimated to be around 6.7 million- this is based on annual national growth rate of 2.6% using 2000 population census data. This is up from 5.1 million in 2000. At the present rate, PNG’s year 2000 population would double by 2030. Studies also reveal that approximately 105 000 people are added to the population every year. And these people must be fed, housed, educated and provided with access to health care. PNG is endowed with the necessary agro-climatic resources and genetic diversity to produce a variety of food crops and outputs not only for domestic consumption but also for export to needy countries. PNG has the advantage because of its huge resource base and potentials which are yet to be explored. The country has enormous agricultural resources such as vast land mass, fertile soils and favorable climate for various types and kinds of crops. PNG has a rich bio-diversity and a variety of food species, fruits and nuts, and cash crops. Local farmers can grow various crops including cereals and pulses together with range of livestock species. PNG has abundant land and bio-mass, creating opportunities for bio-fuels as well. PNG has made modest advances on the technology front in terms of improved varieties and practices for a range of agricultural commodities and environments. There is a huge potential in applying modern bio-technology, processing techniques and value adding, and linking farmers to markets. However, climate change and the anticipated extreme conditions due to changing weather patterns are real issues which must be equally considered. Papuan border crossers’ leader Jonathan Baure today revealed all about his members crossing into Australia, their treatment at the hands of Australian authorities, and of his apprehension in Daru at the weekend when he had never physically crossed over into Australia. ﻿ In an exclusive interview from Boroko police station cell, where he is being held until his first court appearance, he expressed disappointment at the way the matter had been reported in both Australian and PNG media. Baure said of the 16 dinghies carrying 122 people, which were confiscated by Australian authorities last Wednesday, one actually made it onto Cape York Peninsula on northernmost tip of the mainland, where seven passengers disembarked and raised their Papuan flag before being arrested. “Two dinghies were stopped just outside of Horn Island, which is in the special quarantine zone,” he said. “Nine were held at Tudo, on the border of the treaty zone and the special quarantine zone. “The last four dinghies were in the quarantine zone but they were sent back (to Daru). “The total number of people who crossed was 122, and the total number of people who actually landed on the mainland itself was just seven. “Under Australian immigration and customs laws, any person found inside the special quarantine zone will be arrested and detained, and taken to the Cairns court. “There were 122 of our members detained at Horn Island, which is still inside the quarantine zone. “While in Australia, their requests for legal aid and to have their case heard in court fell on deaf ears. “They were refused opportunity to a lawyer. “They were not even allowed to speak to the media. “The first lot of 30 people was flown back the same afternoon to Daru, and their dinghies and outboard motors confiscated. Baure said they decided to take this action because Australian High Commission staff in Port Moresby had not been paying attention to their claims that they were Australian citizens, despite acknowledgement by former prime minister Kevin Rudd. “We are not refugees crossing, simply people who want our Australian birth citizenship recognised, as we were born as Australian citizens,” he said. “Australians are saying that we are not citizens, but we never revoked our birthright. “At independence in 1975, they reckon we lost our Australian citizenship, but they must realise that we never revoked it. “This is not a political issue; it is a civil rights issue. Baure denied media reports in Australia and PNG that he crossed the Torres Strait to Australia and was arrested, when in fact, he was in Daru all this time. “I never crossed over,” he said. “I was all the time in Daru catering for people who crossed over, doing awareness on the issue and talking to media and Australian authorities. “I was apprehended on Sunday in Daru and flown to Port Moresby on an Australian-chartered plane, where I was formally arrested and charged. “I’ve been charged with two counts of: false assumption of authority; and personating public officer. “I’ve been charged by the police trans-national crime unit, together with PNG Customs and PNG Immigration. Meanwhile, another well-placed source said yesterday that members of the Papuan group were now stranded en masse in Daru, because all their money amounting to thousands of kina had been confiscated by the trans-national crime unit. TALKS are under way on reopening one of the world's biggest copper and gold mines, on Australia's doorstep -- the Bougainville mine that last produced ore 22 years ago and was widely believed to have closed forever. The seemingly unstoppable China-driven commodities boom has pushed up prices, so the reserves in the Bougainville pit are now worth about $50 billion. Its port, its access road up 30km of rugged terrain and its 200 million tonnes of pre-stripped ore are ready and waiting. Crucially, leaders on Bougainville -- including former combatants and elected politicians -- are all calling for the mine to reopen, although they have yet to agree on the conditions they require. "The key to the door," Bougainville Copper chairman and managing director Peter Taylor said, "is the landowners." Nothing could happen "until they say to BCL, as a united group, 'We want the mine and we want you to run it' ". "Then I'll focus on the process that would follow." Veteran politician and former Catholic priest John Momis, the recently elected President of Bougainville -- an autonomous region of Papua New Guinea -- said: "We are keen to reopen the mine and we are holding talks with the landowners." BCL's share price has doubled since August and trebled since May, as canny investors have watched vital and promising talks begin. Bougainville Copper, which is 53.58 per cent-owned by Rio, 19.06 per cent by the Papua New Guinea government and 27.36 per cent by other shareholders, estimates it will cost about $3bn to reopen the mine, whose production was suspended on May 15, 1989. The trucks and the electricity pylons may have been blown up, rusted or cannibalised, but the resources in the mine have not been damaged or diminished over the past 21 years. It contains 3.5 million tonnes of copper, today worth about $32.4bn, and 12.7 million ounces of gold, worth today about $17.8bn. There are more reserves beyond the pit but still in the mine lease area. The mine as presently configured is capable of producing up to 170,000 tonnes of copper and 500,000 ounces of gold annually. The copper price has quadrupled since the mine closed, the gold price seven times. The values of the two metals have usually run counter-cyclically, but this year they have peaked together. But the cost of capital is also high, and is likely to come at a premium given the tumultuous history of the mine. Former Australian prime minister Bob Hawke, who has close Chinese commercial connections, in late November visited Port Moresby, where he talked with Prime Minister Michael Somare and Mr Momis. The discussions included plans to reopen the Bougainville mine. After leading a Bougainville delegation of 34 on a visit to China, where he was once the PNG ambassador, Mr Momis said: "The Chinese have expressed an interest in the mine, but we are keeping all our options open." The overwhelming focus of 40 years ago on the mine as a national economy maker or breaker is no longer present. It would remain the crucial income earner for Bougainville itself, but for PNG the spotlight has shifted to the $16.5bn ExxonMobil-led venture piping gas from the Southern Highlands to Port Moresby, where it will be liquefied for export to Asia. This is by far the biggest project ever conceived in the Pacific islands. In this context, Port Moresby might more readily contemplate transferring its 19 per cent ownership of Bougainville Copper to the island itself -- where preliminary discussions have contemplated the autonomous government retaining 60 per cent, and the landowners taking 40 per cent. 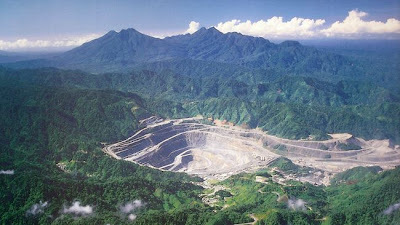 On a pro rata basis, the owners of PNG's 19 per cent share would have to raise $570 million towards the mine's reopening. It is possible Chinese entities, eager to obtain reliable sources of resources, may be prepared to help fund it, either in return for equity, or for future copper output.